I just want to tell you that I really enjoyed this game, My GOSH. The demo ends right at the climax of the story and the music puts a great touch the gameplay, but here are a little critiques that could make the game better. - press had an extra 's' and is spelled "presss" in the demo ( not really anything but a simple fix." 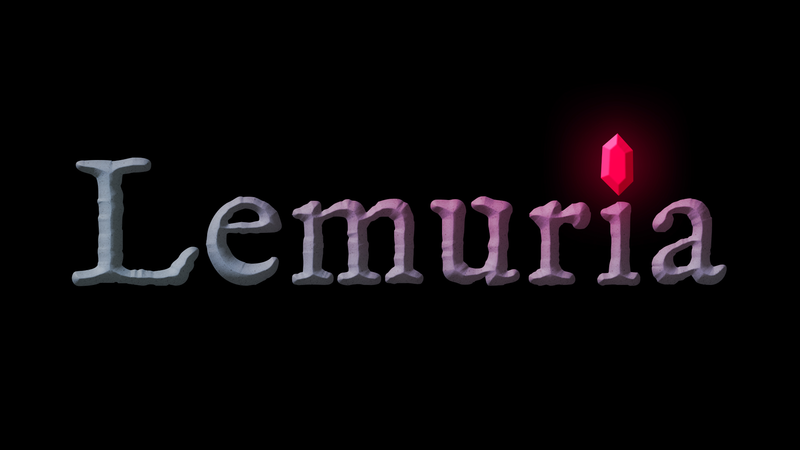 - A cool idea could be that gamer controlled character takes over the screen and pulls out a letter to write/or written of who he is and what happened to him, being that reason why he has come to Lemuria. Is he an explorer or an unfortunate victim to Lemuria. This helps and allows for the gamer to get a better understanding of the character and feel more towards the characters in the story. Additionally, there could be an added flair to the lantern like a flame lit eyeball or a little person. - The puzzle based on the prism shaped rubies on the stone casket was intriguing and kudos to whoever came up with the idea. We appreciate the feedback! This will be helpful for our next release in the beta cycle. Really nice game. The puzzles are cool and the ending is terrifying. However, i feel like the horror comes in a little late. Thanks so much for posting the video. You gave us good feedback for our next release. Thanks for playing. Best reaction yet! I loved how you just barley made it out. That made it super suspenseful to watch. Apart from the need for more diverse puzzles, it's a nice puzzle game with touches of horror in it. Hey thanks for playing. Our next release will have more horror in it. We plan on taking out some of the puzzles and putting more of the ending type stuff. Thanks for playing the game! You seemed to be disoriented in the introduction. Any thoughts on how to fix it so you feel less disoriented? I honestly wasn't expecting much after the first couple of puzzles, but by the time I hit the tavern, everything was starting to click. The tavern music was amazing, and I definitely didn't see that twist coming. Thanks for playing! We will add a sensitivity option now that you have brought it up. We like your interest in the story. Most people have been skipping the dialogue in the graveyard. I know it's boring that I just stop and listen to whatever's being said, but I've played too many games where advancing the story during a conversation either cuts off the current dialog or queues the next dialog right behind it so it plays after it's relevant and the conversation becomes disjointed. By the time I got to the end of the demo I really was getting into the game and was left wanting more!! Love the voice acting and I am really looking forward to the full version! Thanks for playing the game! I really enjoyed the way you played our game. Great personality! Let us know if there is anything we can do for you. Email us at support@bumpstudios.us so we can reward you for playing our game. Thanks for playing the game! You gave great feedback! Let us know if there is anything we can do for you. Email us at support@bumpstudios.us so we can reward you for playing our game. Thanks for playing the game! Great personality and feedback! Keep up the videos! Let us know if there is anything we can do for you. Email us at support@bumpstudios.us so we can reward you for playing our game.